As someone who works in a dentist's office or lab, you know all about the latest dentistry equipment. You're no stranger to the newest polishing methods and CAD/CAM systems! 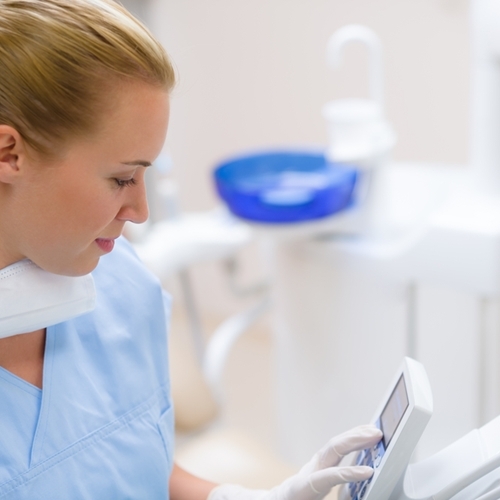 It's no surprise that your practice has the newest technologies in dental lab equipment. But is your dental lab up-to-date with the behind-the-scene technology that is needed for today’s dental practices? Having a lab that is full of the latest equipment is a must. But a practice is only as good as the software and databases that support it. Are you interested in learning how CRM software can boost the efficiency of dental labs and offices? If so, keep reading! Wouldn't it be nice to have a system that does the brunt of patient relationship management for you?Using CRM software, managing relationships with patients is much easier. The software is able to manage, collect, and organize patient information. Dental labs must store all sorts of patient information. With so much data to collect and manage, it makes sense to use a reliable system to do most of the work for you! You're all about efficiency, right? Now let's discuss how CRM software can be used in a dental lab and office. So how can CRM benefit your office? Dental practices store information about dozens of patients. Keeping track of this information can be hard, especially if there is no system available. CRM software is able to store all patient data while also organizing it. This means information will be stored in a logical manner, and can be accessed with a few clicks. Less time is spent searching for patient data when it is organized. You can quickly locate important patient information for appointments throughout the day. This means reducing the amount of time patients have to spend in the office. Keeping patients coming back to the office is key! We all know that dental health is a 24/7/365 part of life. Dental labs and offices should inform patients about their upcoming dental services; these reminders are automated with CRM software! Dental practices need time and effort to keep them running smoothly. But the daily tasks can be time-consuming! CRM software can automate many of the daily tasks, freeing up your time for other functions within the office. Are you looking to give your dental practice a competitive edge? Using quality dental office software can help achieve that goal! Magic Touch Software specializes in software for dental practices. Our systems offer unique (CRM)Customer Relationship Management tools as well as a complete Lab Production and Case Management system. This complete solution allows for access to all customer account information, production data, case tracking audit, sales and accounting data, in one place successfully bridging the gap between account management and real-time business intelligence. Contact us today to learn how to run your dental practice in a more productive and efficient way.